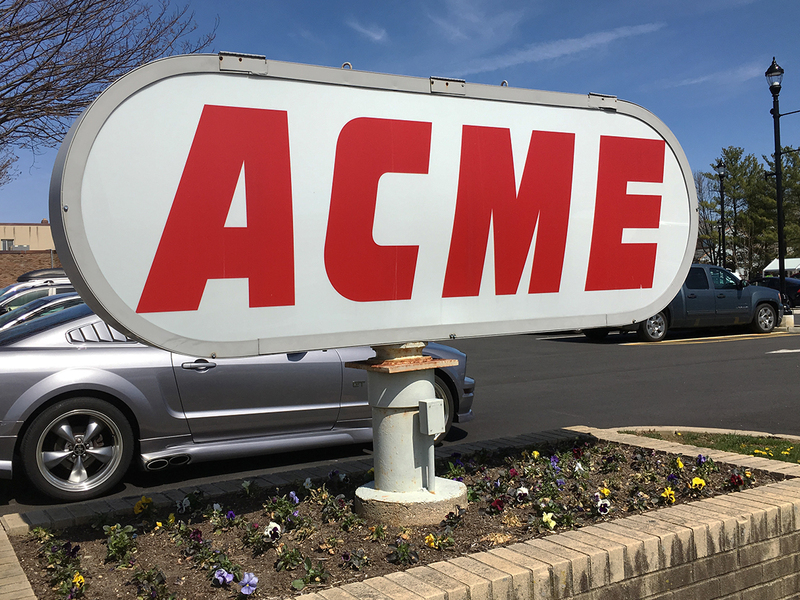 Today, the Little Silver Acme officially arrives on the blog. 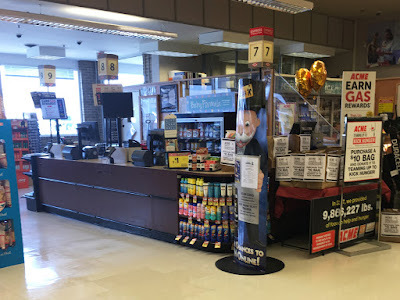 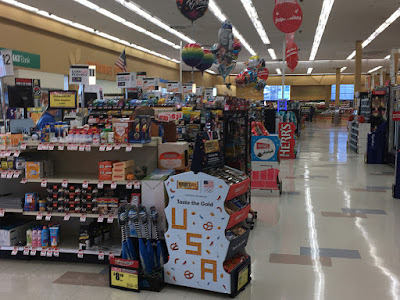 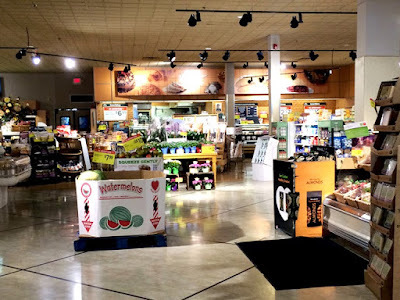 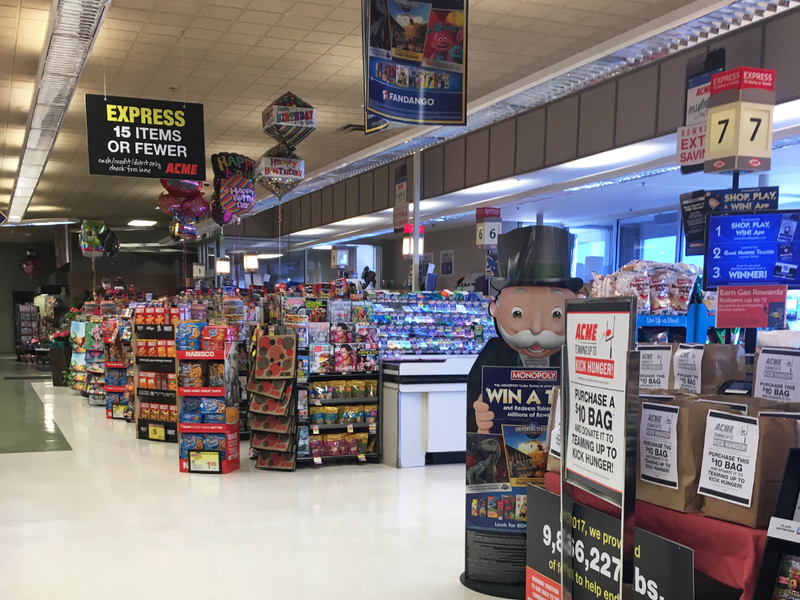 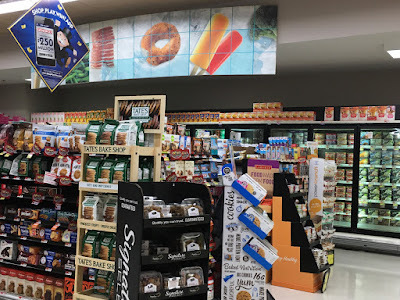 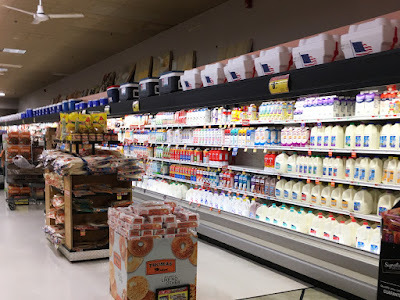 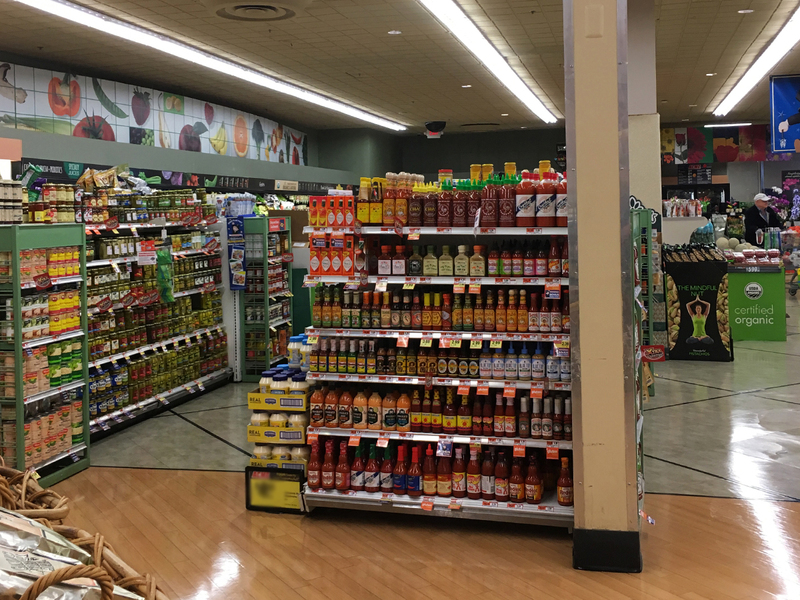 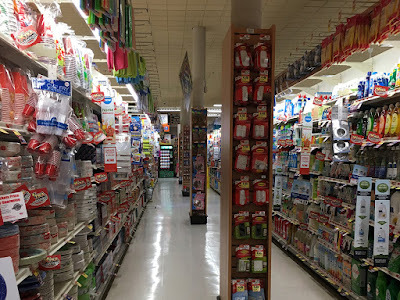 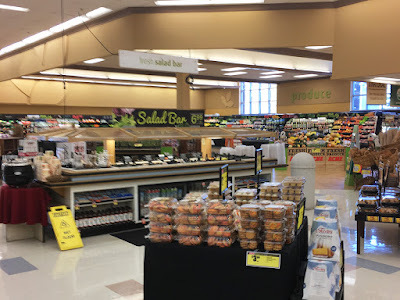 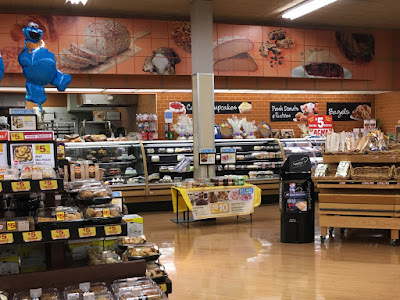 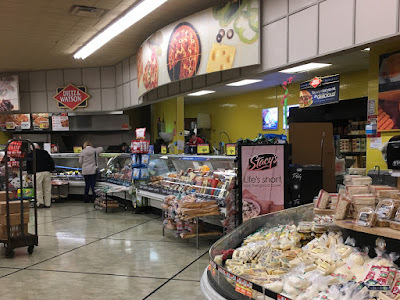 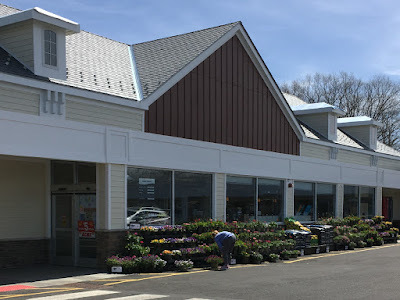 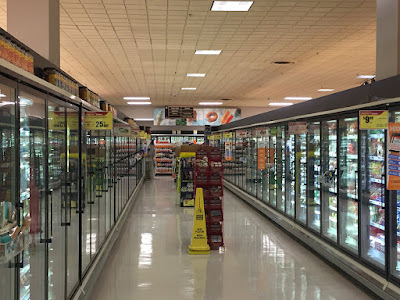 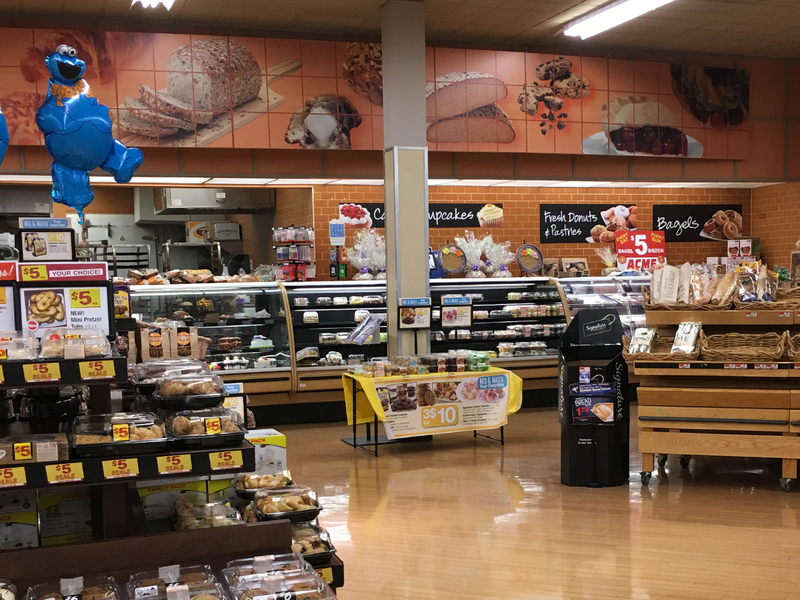 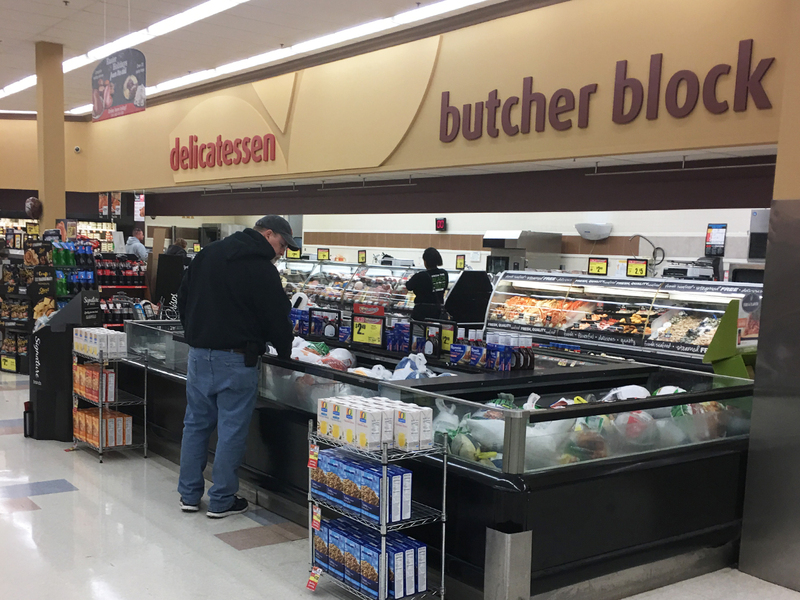 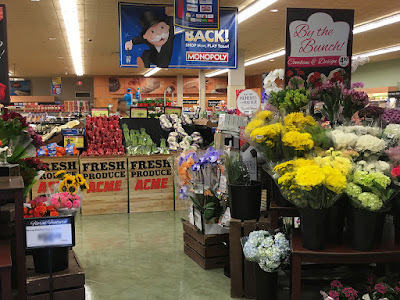 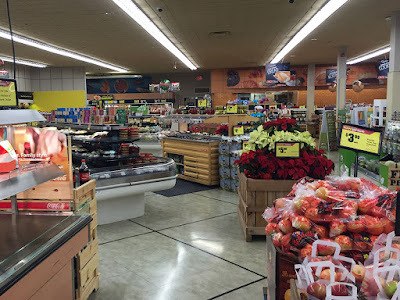 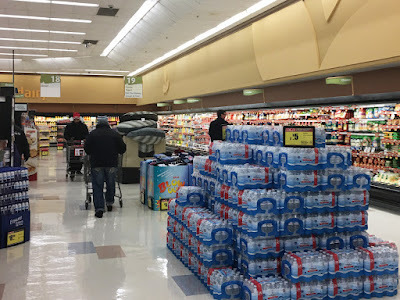 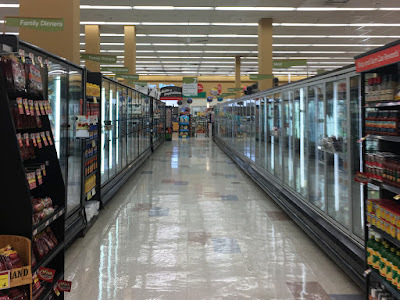 I had considered this store sufficiently covered since it was the subject of an extensive Bonus Store post back in June 2014 and, unfortunately, Acme has done very little with the place other than yanking out the self-checkouts and adding more lighting. 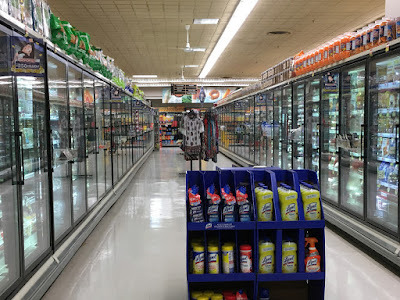 The store is still quite nice but a Quality Built décor swap along with a new coat of paint would really freshen the place up. 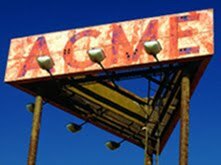 I'm surprised Acme isn't bothering to do this while the landlord is renovating the entire shopping center with a new facade. 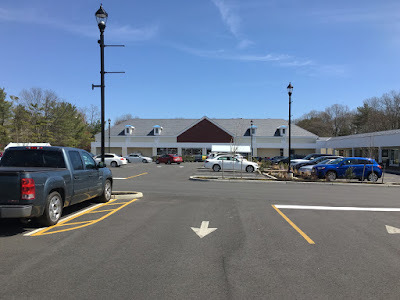 The parking lot has been reconfigured and replaced. And check out those new lamp posts! 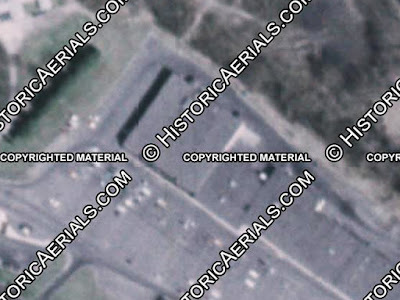 It's a no-expense-spared project for sure. 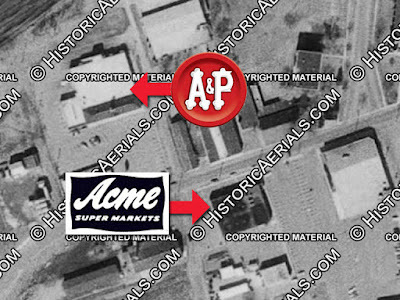 The "before" photo above shows the A&P completely intact with nothing more than a sign swap. 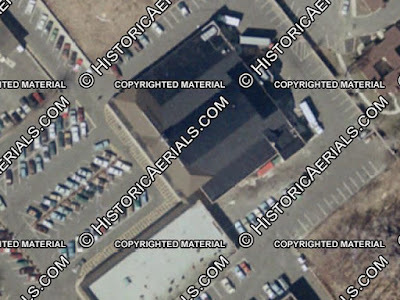 You can see the old light poles here along with the angled parking spots which have recently been made straight. 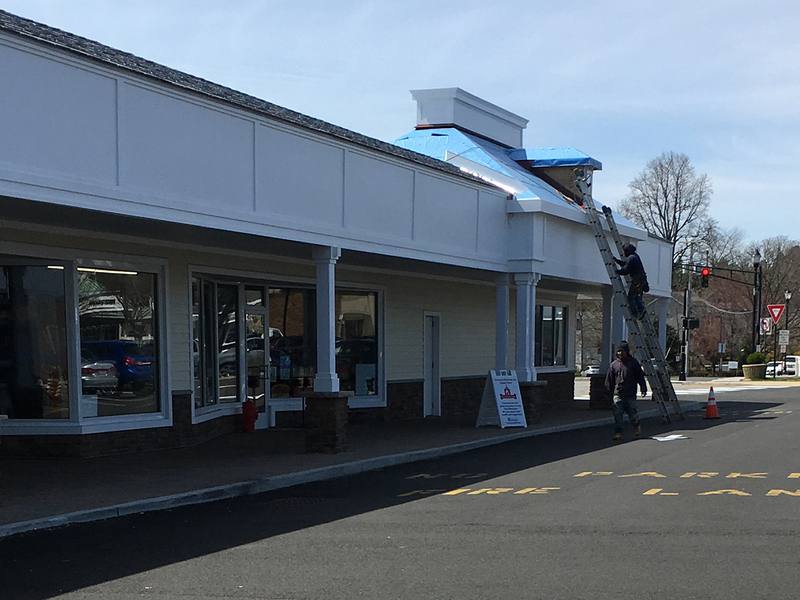 Huge improvements to the exterior of the store! 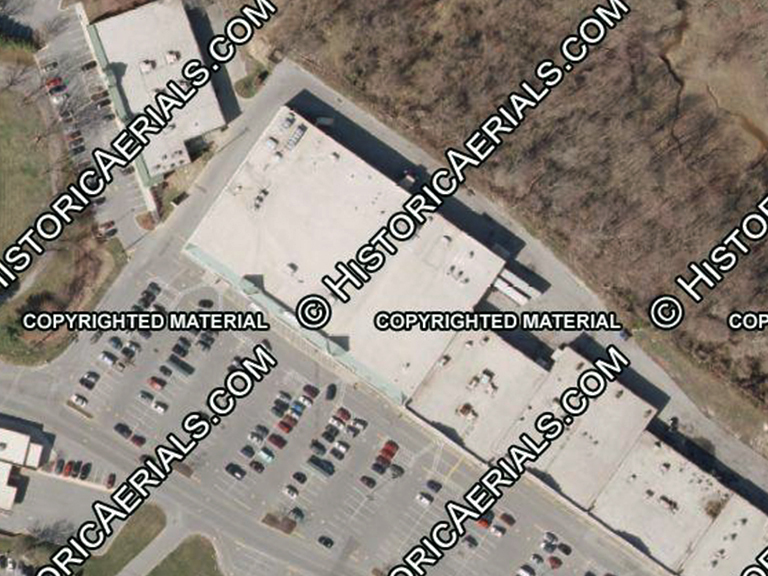 Odd color choice for the section where Acme's sign will eventually be placed. 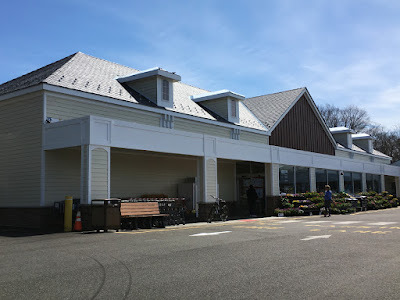 The dark paneling is not being used anywhere else in the shopping center. 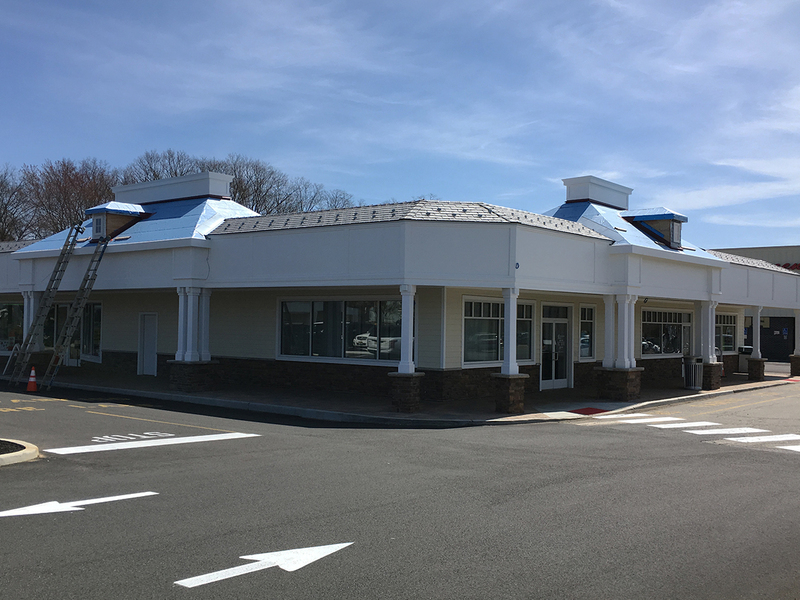 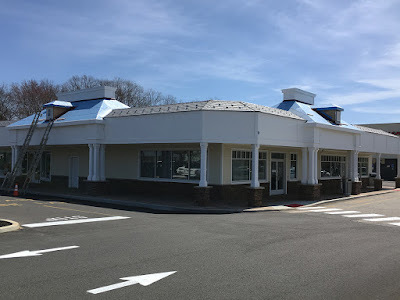 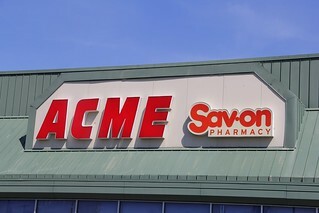 According to the rendering of the completed shopping center, Acme's sign will be mounted to a white rectangular panel to help it pop on the dark paneling. A&P's second round of their "fresh" remodel is alive and well. Looks great at this end of the store but we'll see some problems on the other side. 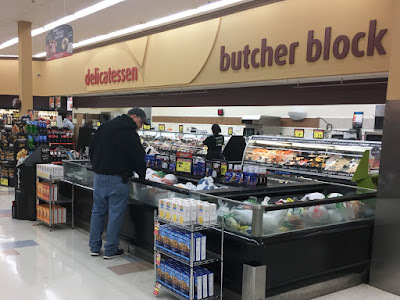 This area may have been A&P's health food department. 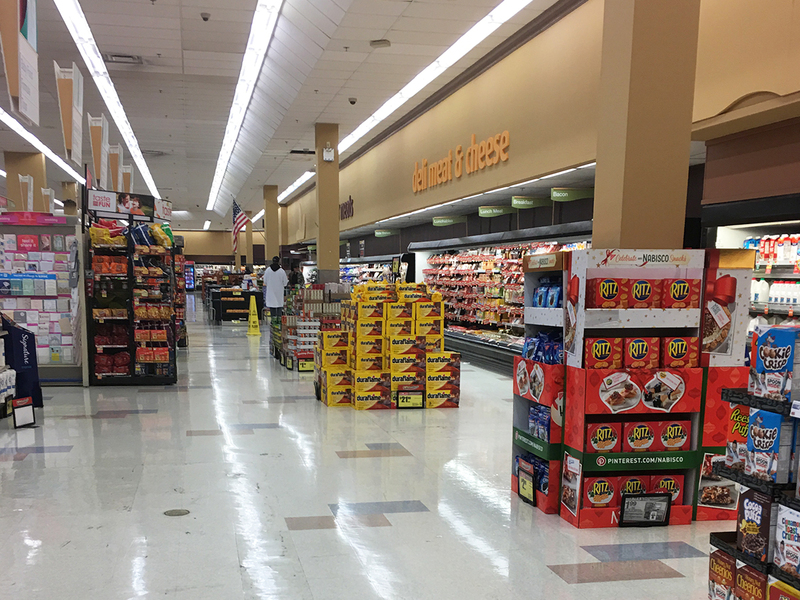 Acme has since reset the store which these aisles now being regular groceries. 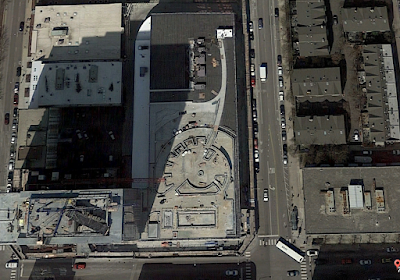 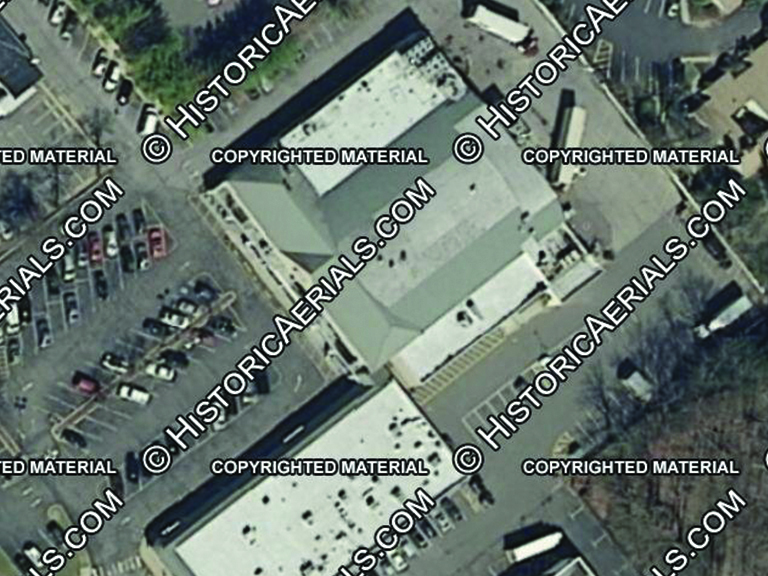 The division between the original store and the addition which came sometime in the 70's. 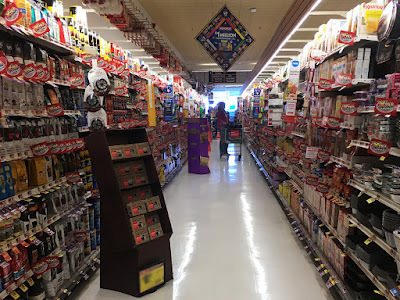 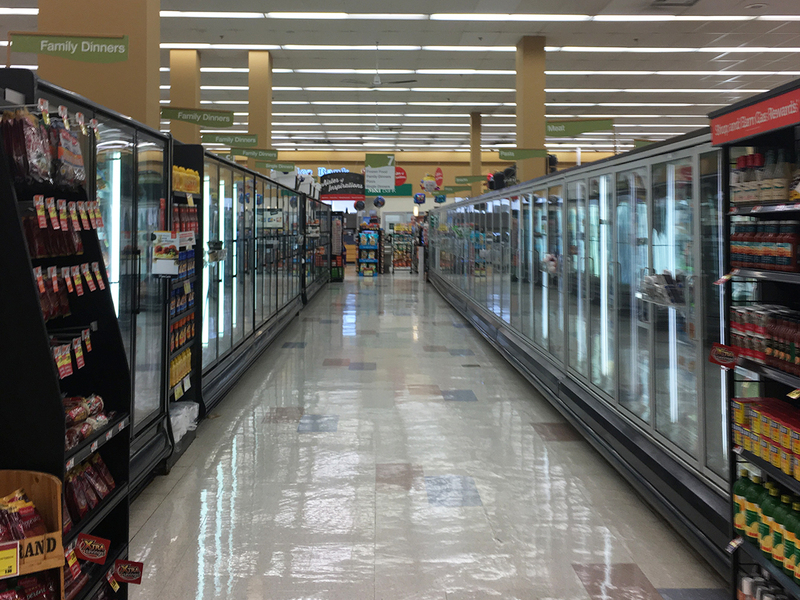 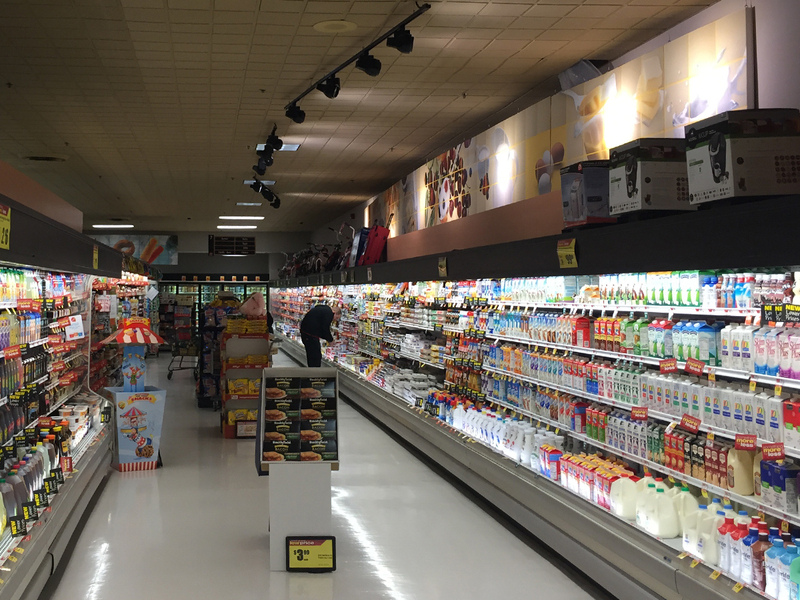 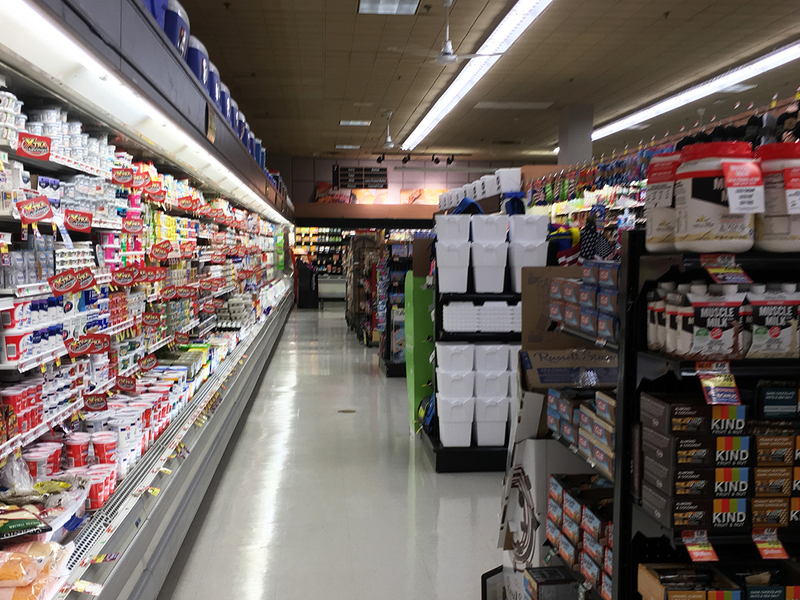 Acme has since added new lighting to the last few aisles. 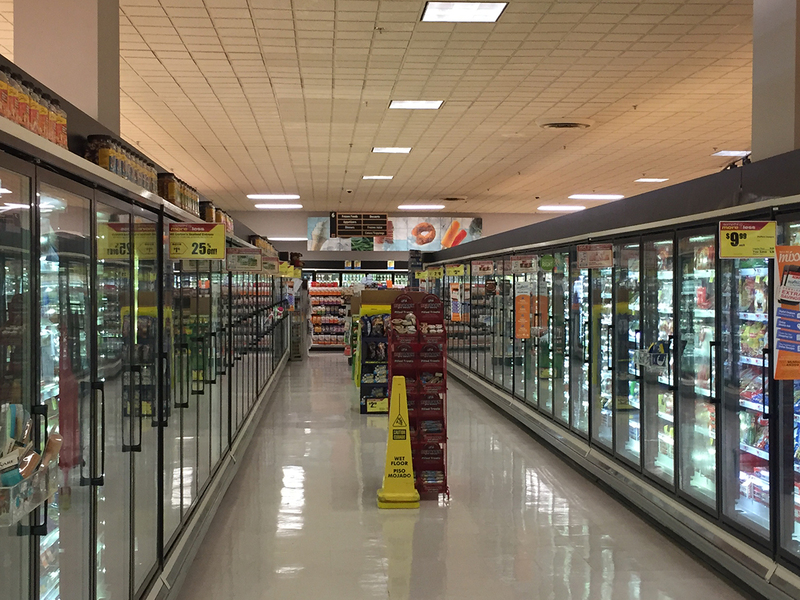 Something that wasn't done during the initial conversion of the store. 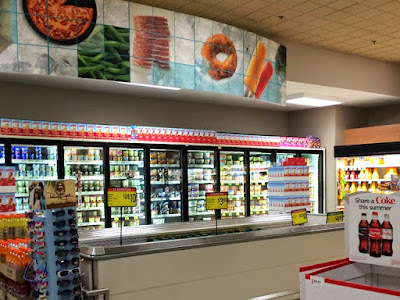 Ceiling fans added as well to Frozen and Dairy. The photo above is one of Doug's from December 2015. The signs cannot be saved. 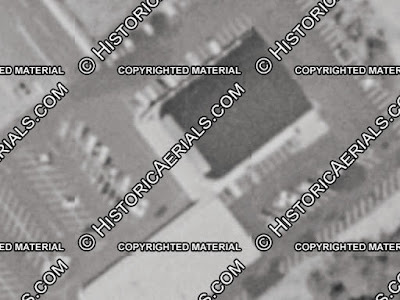 The photos are torn from the panel being broken apart. 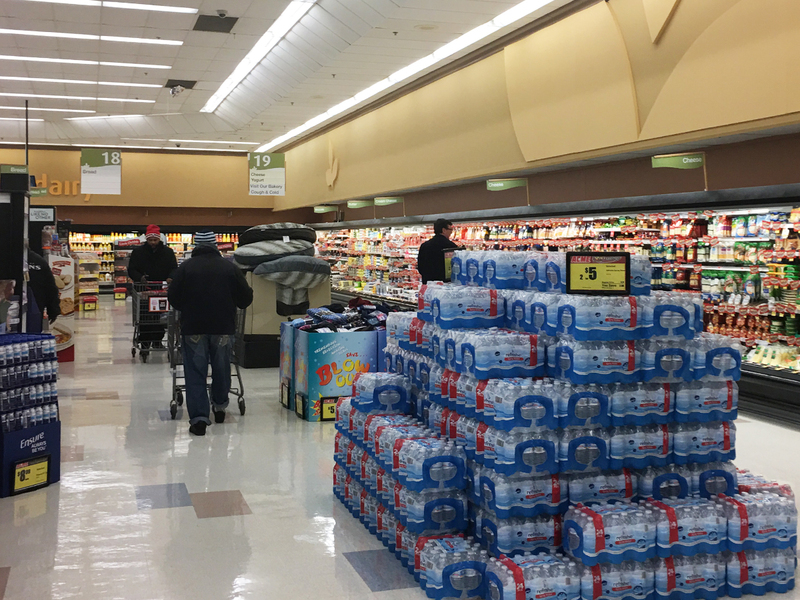 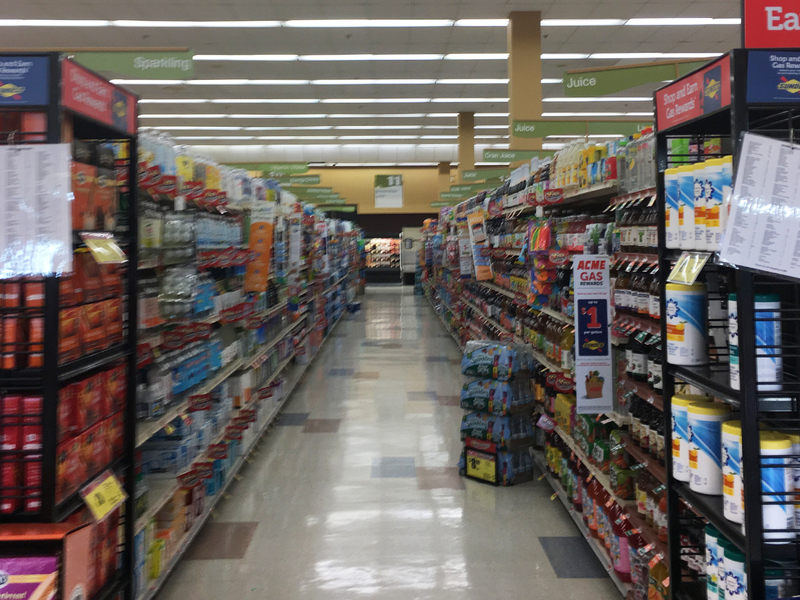 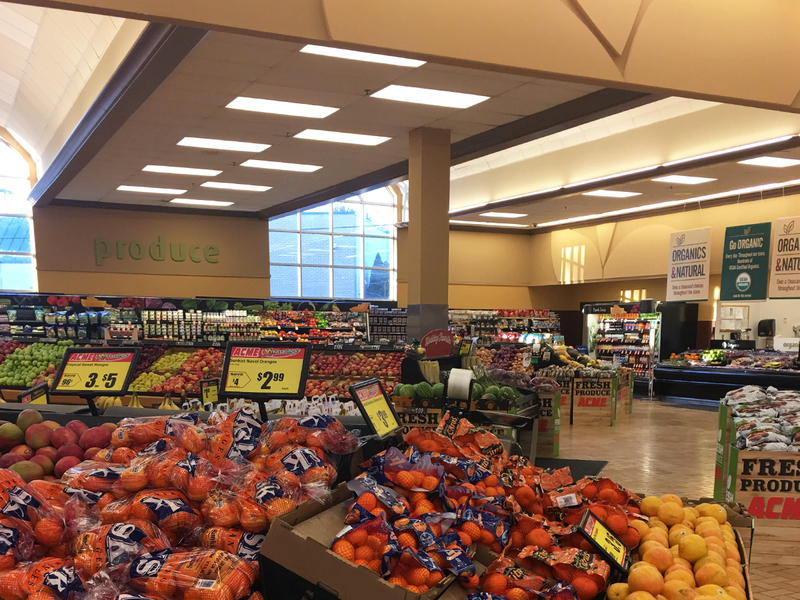 This store tops out at just 7 aisles. Acme got rid of A&P's coffin cases that were here and replaced them with cookies and crackers. Doug's photo above showing A&P's checkout lights which have since been replaced with the Quality Built lights. Self checkouts gone. 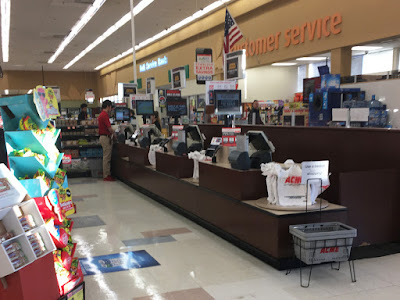 Acme added this counter with express registers. 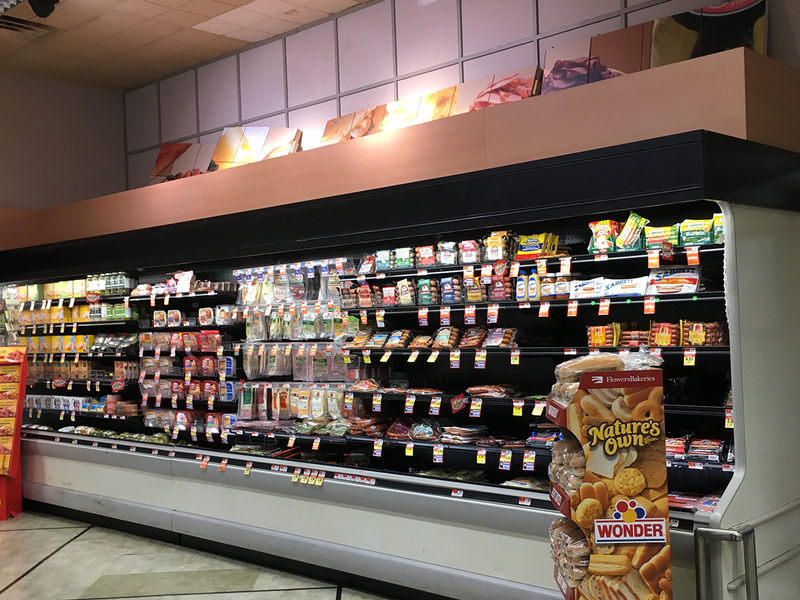 Part of A&P Customer Service Counter is still in tact behind food donation display. Not terribly busy for a Saturday morning but there were definitely more shoppers in the store than these photos would lead you to believe. 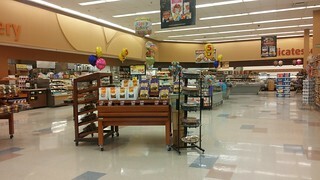 Workers were on the clock Saturday morning! 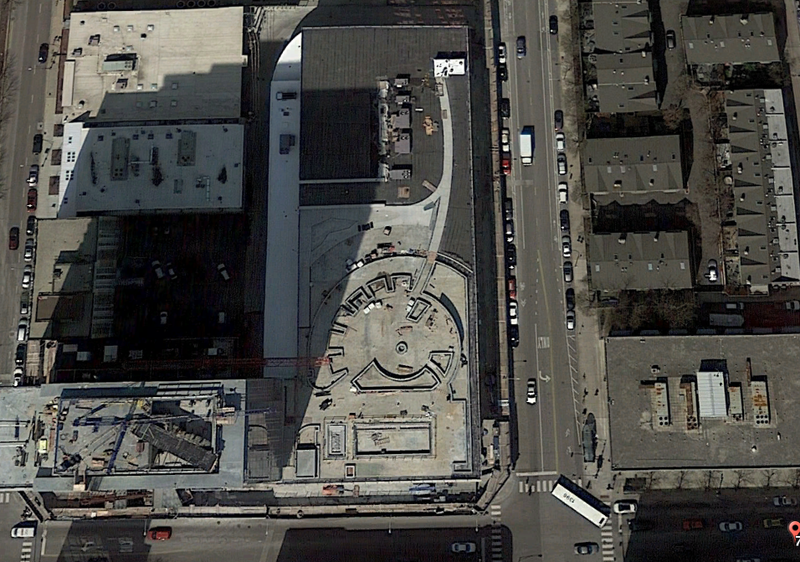 The design of the facade is evolving from what is shown in the rendering. 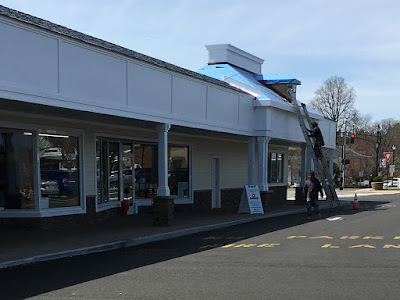 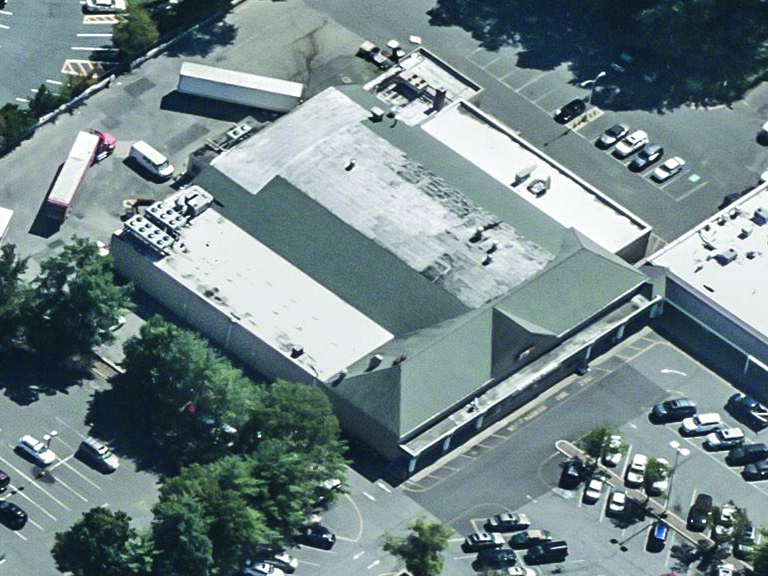 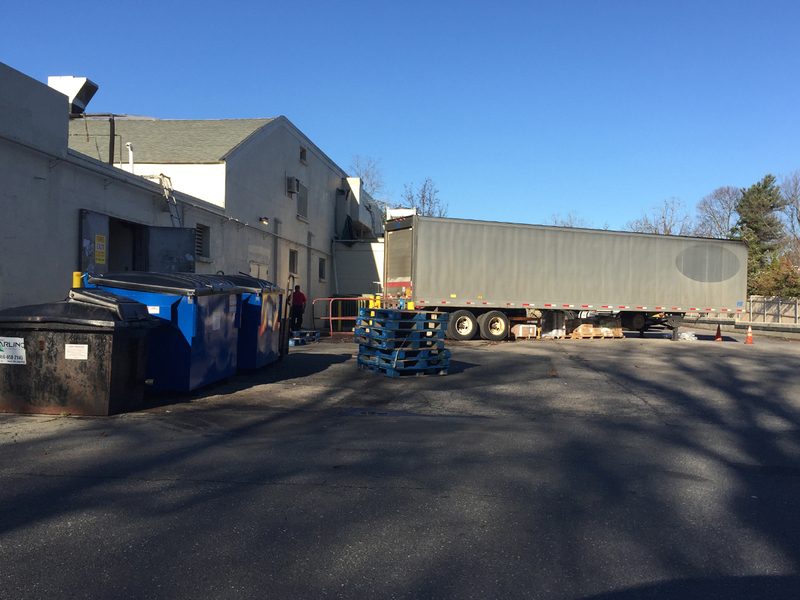 Doug snapped this photo of the rear of the store. 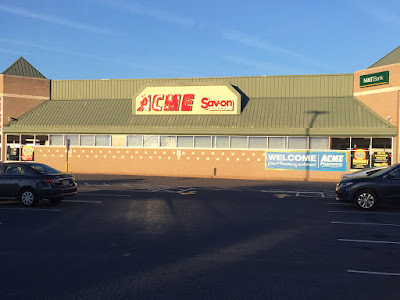 Old Acme trailer with its logo removed thanks to good ol' SuperValu. Expanded to its current size by 1979. The original barrel roof store in 1957. 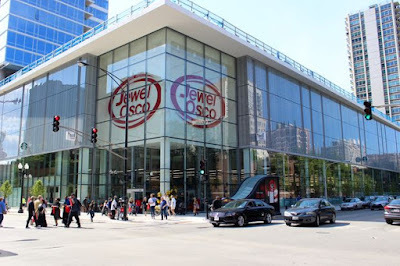 Check out this cool new Jewel! 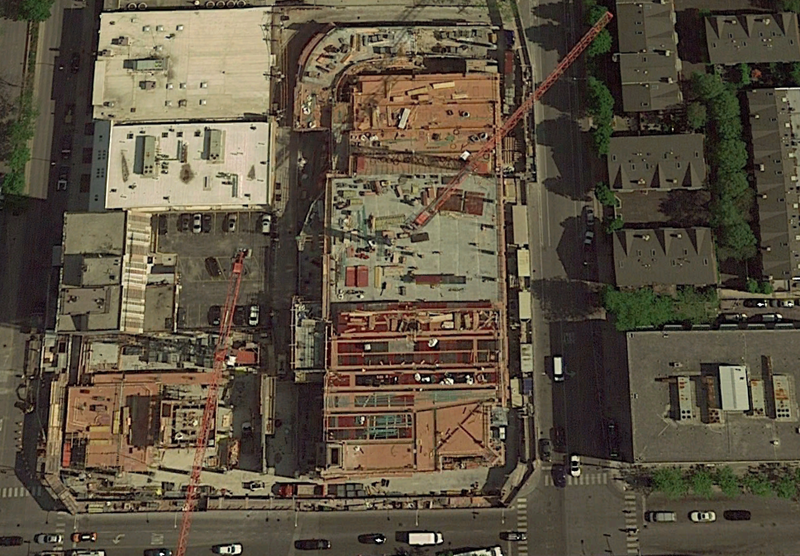 Take a tour of this awesome new Jewel which recently replaced an older model on the same site. 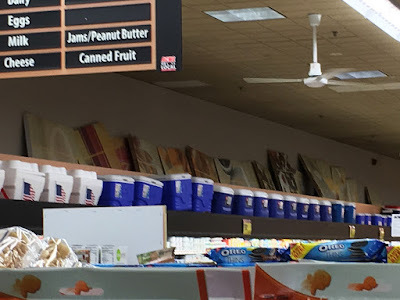 Not to be watched while hungry. 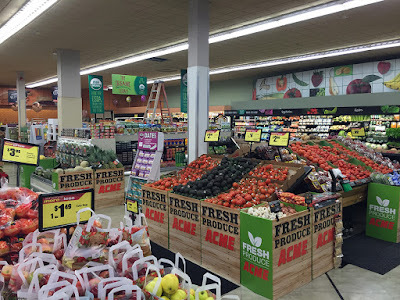 For a highly detailed article on the new store, jump over to ProgressiveGrocer.com. 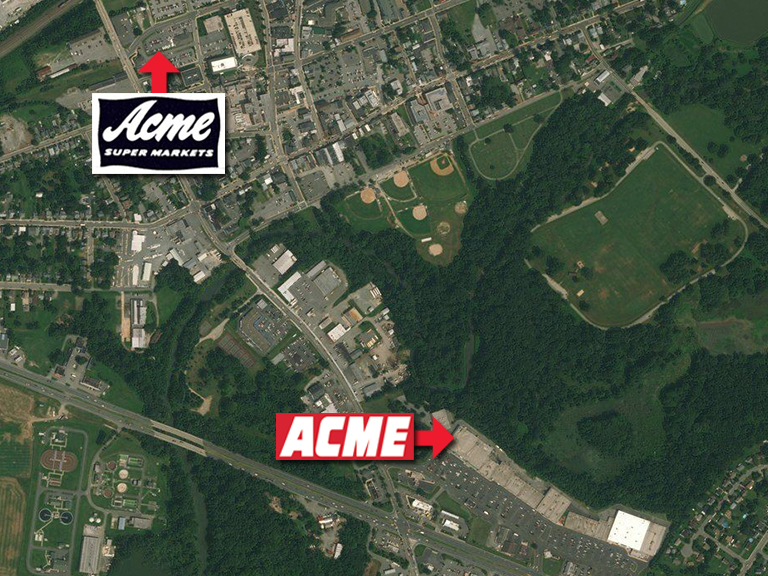 Photos courtesy of Jacob V.
The 6th and final Maryland Acme has arrived on Acme Style! 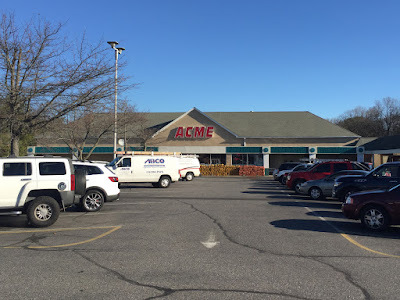 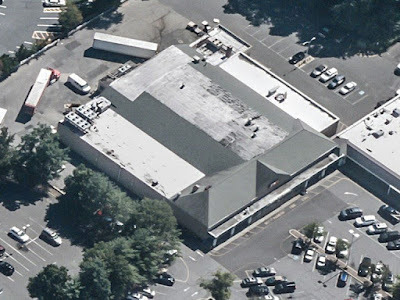 Additional former Acmes of Maryland may find their way to the blog but this is the last of the currently operating stores. 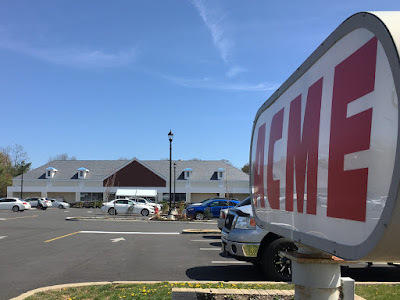 The Elkton Acme opened as a 33M back in the 70's having replaced a smaller store in town. 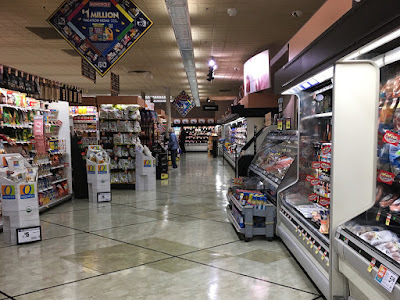 A major expansion and renovation happened in the 90's to the left side of the store erasing all of its 33M attributes. The two pyramid structures along the front were a design feature rolled out in the early 90's and were often added to expanded stores. The Produce windows, a standard feature at newly built 90s stores, were included along with the expansion on this side of the store. 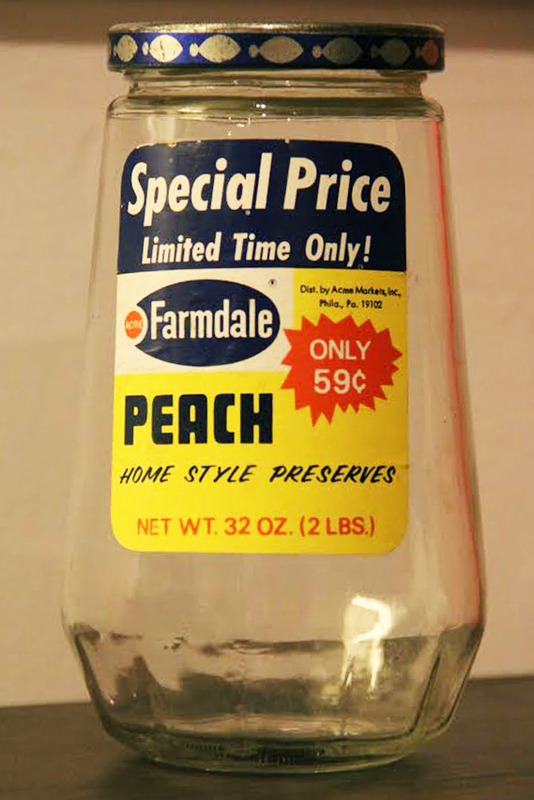 Inside we find the Premium Fresh & Health version 2 package, a tanner, stripped down/cheaper version of PF&H v1. 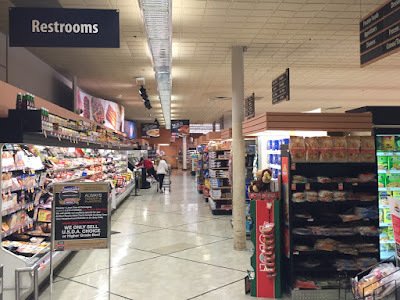 The flooring from the 90's Red/White/Blue décor remains in place. 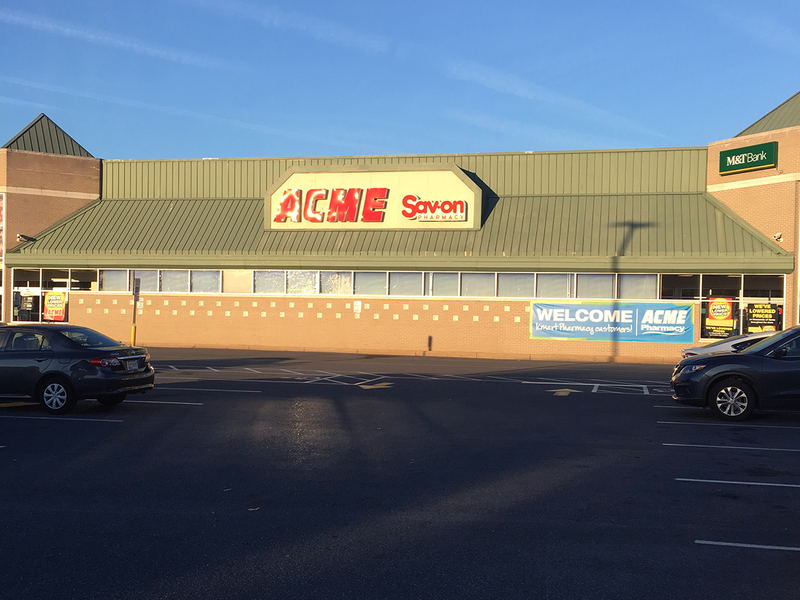 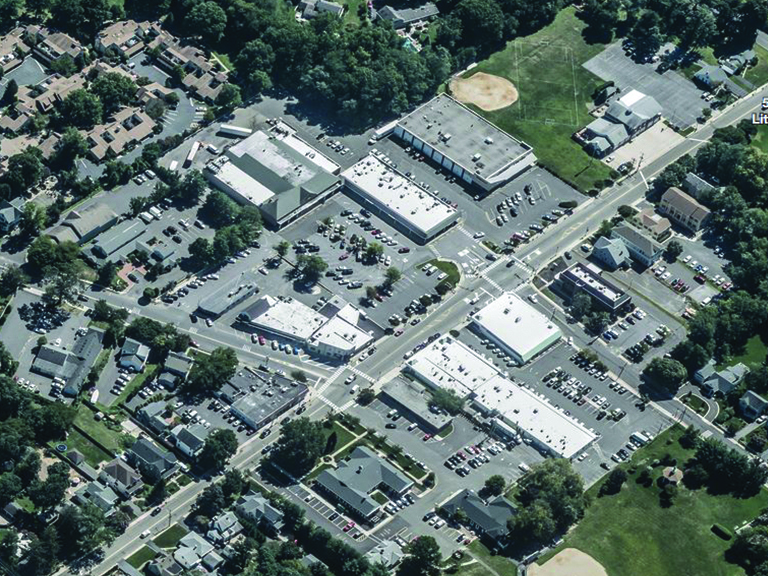 Elkton used to be a high volume store but has been crushed by competition in the area. 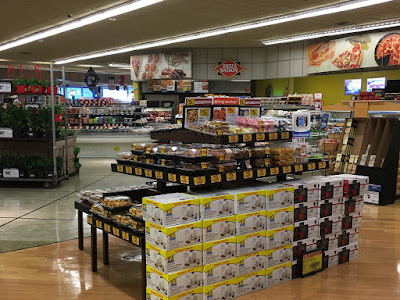 Walmart relocated to a SuperCenter and Redner's built a new store about a mile away. 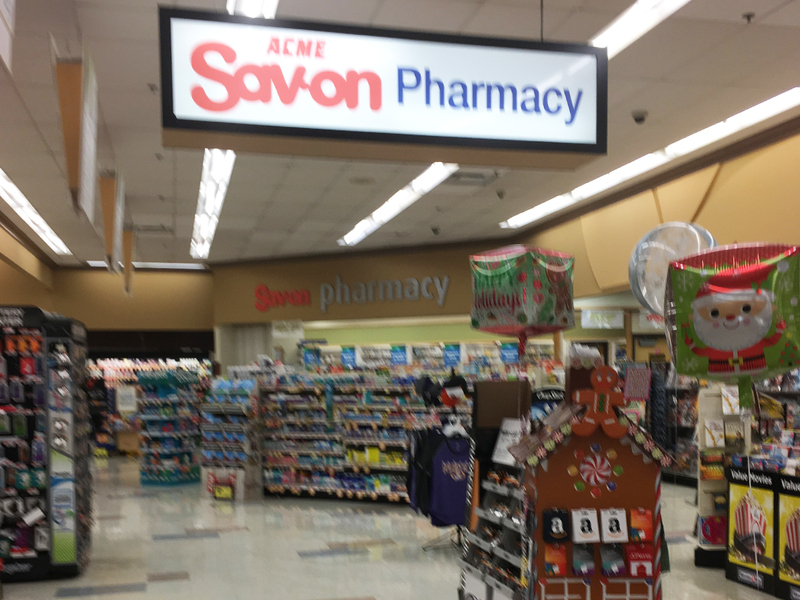 Light-up Pharmacy sign not seen in many Acmes. 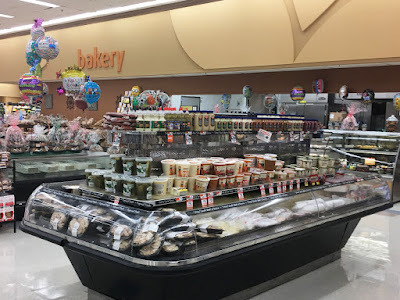 Definitely eye catching! 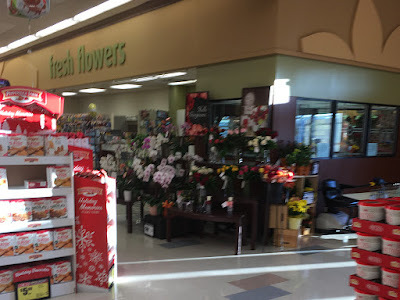 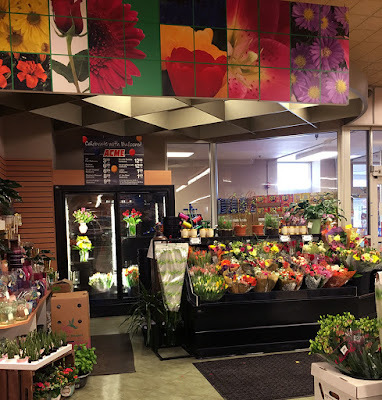 Looks like this store has a walk-on floral cooler which were common features in newly built 90's stores. 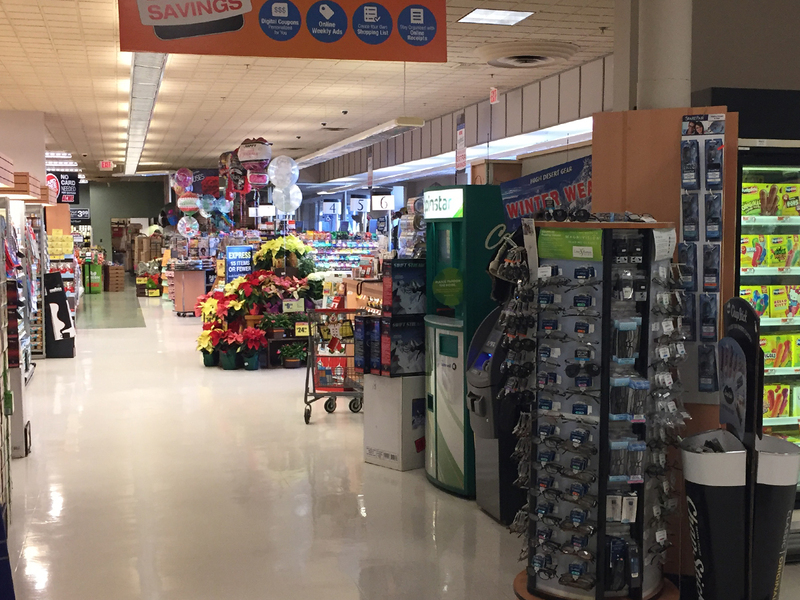 Self-checkouts replaced with the dreaded express register counter. This change undoubtedly looked great on paper but in reality it's a total dud as stores rarely has any of these registers manned. 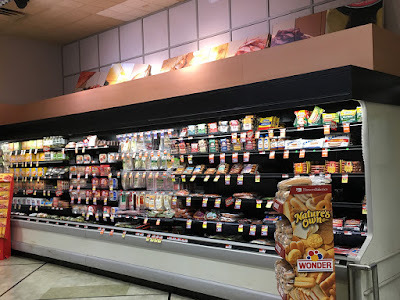 I've been in Acmes that have completely given up on this newly added feature by never having any of the registers open. 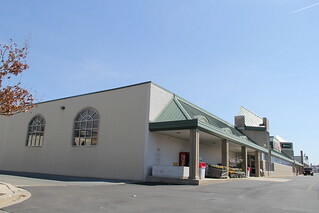 The view here clearly shows the addition to the left side of the store. 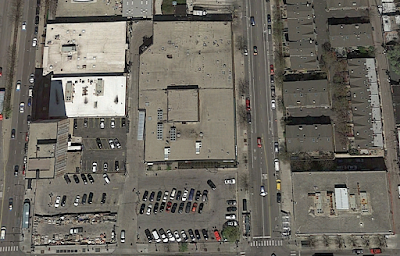 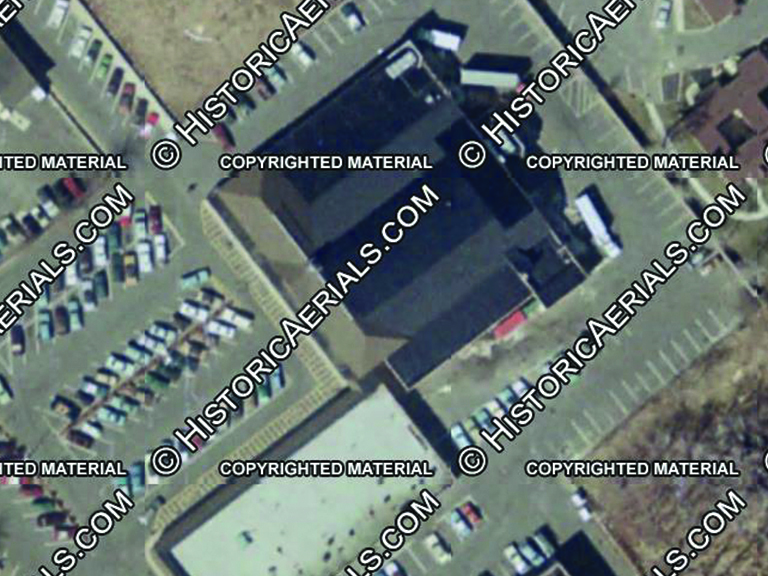 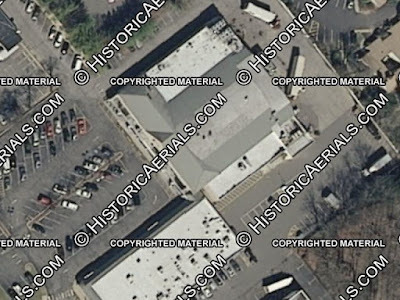 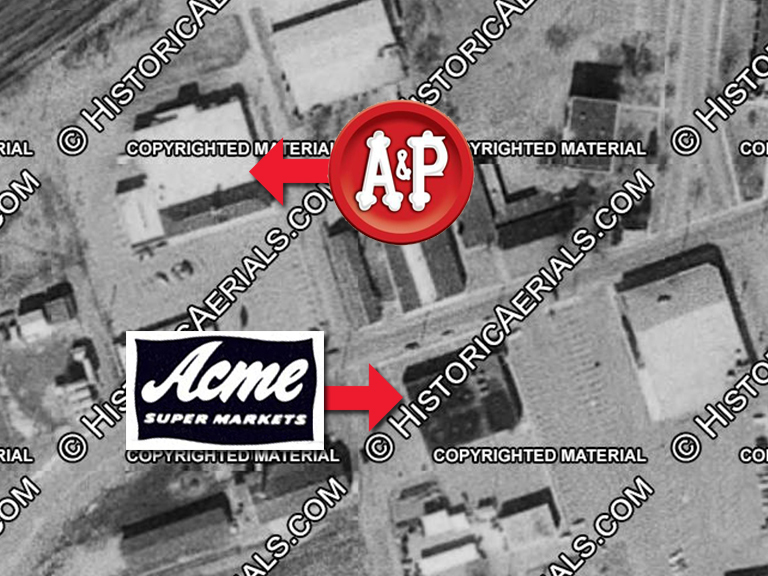 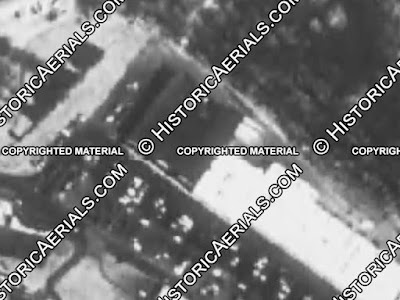 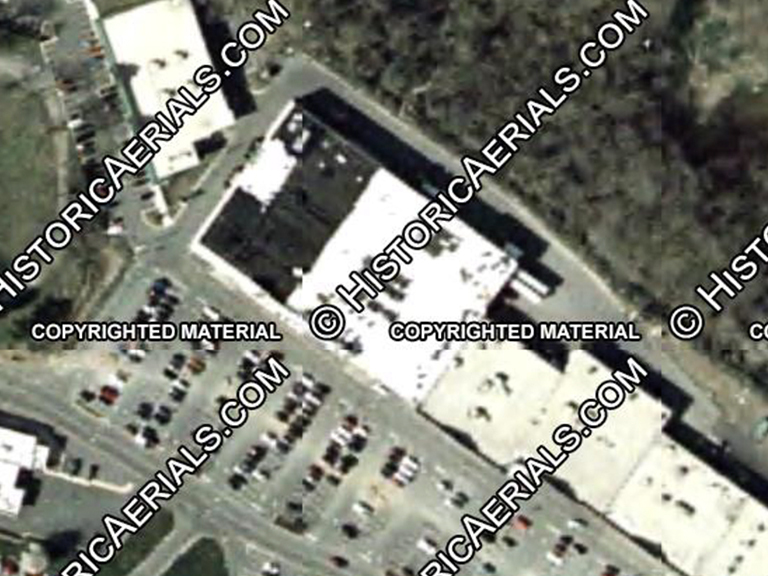 The former Acme along with the A&P have since been torn down to make way for parking lots. 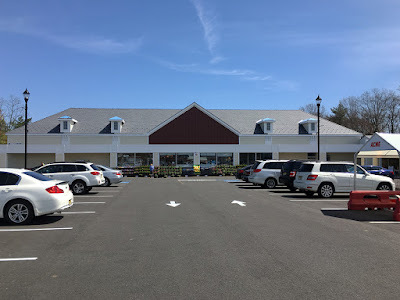 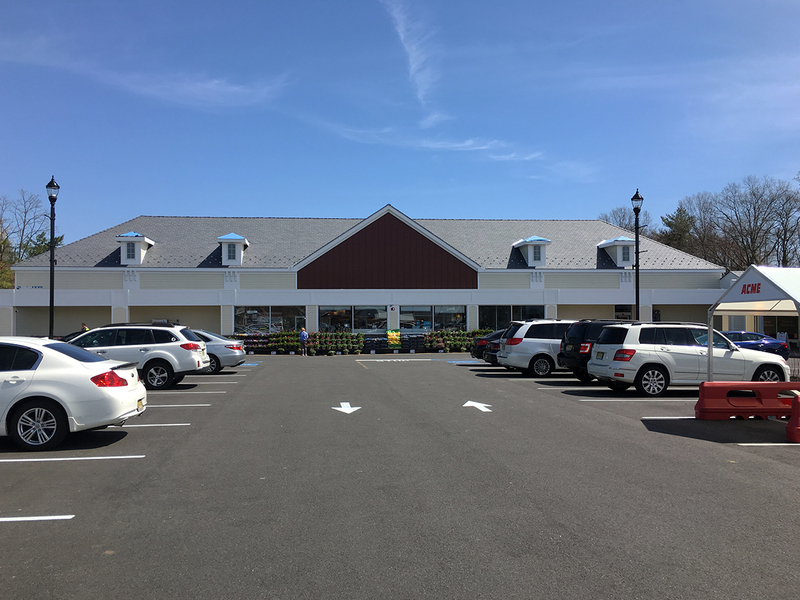 Collegeville Acme now a KImberton Foods! 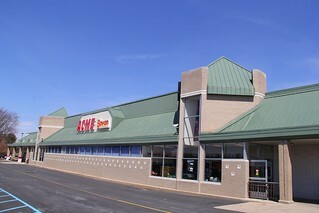 HALF OF A MILLION NOW SERVED AT ACME STYLE!